For obvious reasons Copenhagenize was unable to sponsor the first Bike Century - one of the most successful events of any kind in human history. Launched in the 1880's it was scheduled to run until 1999. Unfortunately, the rise of the automobile rained on the parade and the event petered out all over the world in the 1950's, despite a fantastic start over the first 60-70 years. There was a brief revival in the early 1970's but people just didn't seem to be involved in the event anymore. 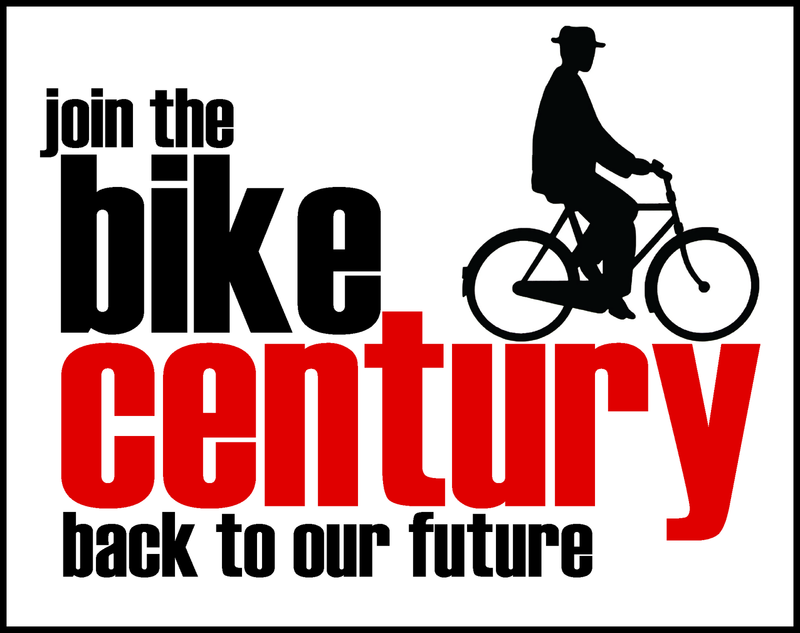 Now we're launching the second Bike Century which encompasses a family of events including Bike to Work Century / Bike to the Cinema Century / Bike to the Supermarket Century / Bike to the Local Café Century / Bike to School Century etc etc etc. We're looking forward to seeing millions of people signing up for this event from all over the world. But hurry! You have to sign up and pledge to ride a bicycle BEFORE December 31st, 2099! All participants will get a free extra seven years of life plus fewer illnesses! At no extra cost! You can pledge your participation by joining the Bike Century Facebook Group. Feel free to use the above graphic to show that you're signed up for Bike Century on your blog or website. Have a lovely bicycle-riding century! All you need is a bicycle.